New research indicates that cholesterol-reducing drugs could have a detrimental effect on a person’s response to a flu vaccine, and may even affect the vaccine’s effectiveness. A new pair of studies, published in The Journal of Infectious Diseases, may have implications for flu vaccine recommendations, guidelines for statin use around the time of vaccination, and future vaccine clinical trials in seniors. In one study, researchers analyzed immune response data from an earlier flu vaccine clinical trial conducted during the 2009-2010 and 2010-2011 flu seasons. In that new study, funded by Novartis Vaccines, which also sponsored the original clinical trial, investigators focused on the potential effect of statin use on patients’ initial immune responses after being immunized against flu. The analysis drew on data for nearly 7,000 adults over the age 65 in four countries, including the United States. Statin users had a significantly reduced immune response to vaccination compared to those not taking statins, as measured by the level of antibodies to the flu vaccine strains in patients’ blood three weeks after being vaccinated, the researchers observed. The effect was most dramatic in patients on synthetic statins, rather than naturally derived statins. “Apparently, statins interfere with the response to influenza vaccine and lower the immune response, and this would seem to also result in a lower effectiveness of influenza vaccines,” said Dr. Steven Black, MD, of Cincinnati Children’s Hospital Medical Center and lead author of the immune response study. If confirmed, the findings could support the preferential use of high-dose flu vaccine or vaccines containing adjuvants to boost immune response in the elderly, in an attempt to counteract the apparent effect, the study authors wrote. A high-dose flu vaccine is approved for adults 65 and older in the U.S., as are several standard-dose vaccines. 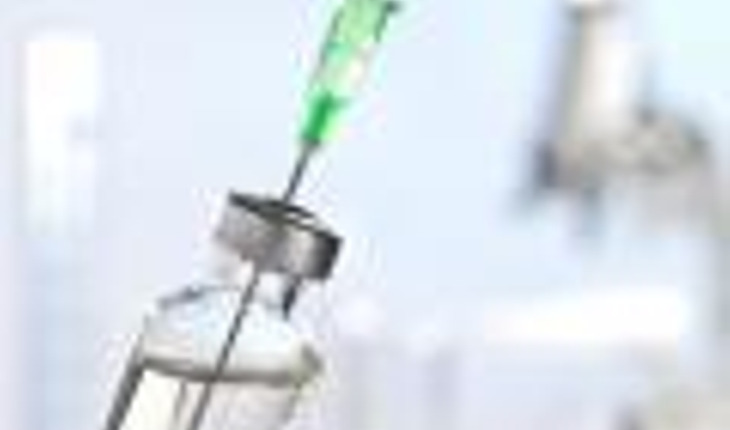 Adjuvanted flu vaccines are available in Europe and other countries but have not yet been licensed for use in the U.S. The Centers for Disease Control and Prevention recommends that everyone 6 months of age and older get a flu vaccine every season. Seniors are at particular risk for serious illness and complications from flu, including death. In the other new study, conducted by researchers from Emory University, the authors investigated the possible impact of statin therapy on the effectiveness of flu vaccine at preventing serious respiratory illness. The researchers analyzed data spanning nine flu seasons from 2002 to 2011, including information about flu vaccination, statin prescriptions, and cases of medically attended, acute respiratory illness among nearly 140,000 people enrolled in a large managed care organization in Georgia. “What we found was a potential signal that the effectiveness of flu vaccine in older people may be compromised somewhat if they are on statins, compared to those who are not on statins,” said Saad B. Omer, MBBS, MPH, PhD, of Emory University and lead author of the vaccine effectiveness study, which was financially supported by Emory and the National Institute of Allergy and Infectious Diseases. After adjusting for various factors, the Emory researchers observed that vaccine effectiveness for preventing serious respiratory illness was lower among patients taking statins compared to patients who were not on statins, particularly when flu was widespread in the state. The findings have potential implications for guidelines regarding statin use in older adults around the time of vaccination, but additional studies, including research examining laboratory-confirmed cases of flu, are needed first to provide more guidance, the study authors noted. But the findings should not yet affect how doctors care for their patients, according to an accompanying editorial commentary by Robert L. Atmar, MD, and Wendy A. Keitel, MD, of Baylor College of Medicine in Houston.